Note: Also available is a more recent article on this subject, also by Dr Viera Scheibner, called "Shaken Baby Syndrome Diagnosis on Shaky Ground" (A$3.00). victims of undiagnosed vaccine damage. Recently there has been quite an "epidemic" of the so-called "shaken baby syndrome". Parents, usually the fathers, or other care-givers such as nannies have increasingly been accused of shaking a baby to the point of causing permanent brain damage and death. Why? Is there an unprecedented increase in the number of people who commit infanticide or have an ambition to seriously hurt babies? Or is there something more sinister at play? Some time ago I started getting requests from lawyers or the accused parents themselves for expert reports. A close study of the history of these cases revealed something distinctly sinister: in every single case, the symptoms appeared shortly after the baby's vaccinations. While investigating the personal medical history of these babies based on the care-givers' diaries and medical records, I quickly established that these babies were given one or more of the series of so-called routine shots-hepatitis B, DPT (diphtheria, pertussis, tetanus), polio and HiB (Haemophilus influenzae type B)-shortly before they developed symptoms of illness resulting in serious brain damage or death. The usual scenario is that a baby is born and does well initially. At the usual age of about two months it is administered the first series of vaccines as above. (Sometimes a hepatitis B injection is given shortly after birth while the mother and child are still in hospital. However, a great number of babies now die within days or within two to four weeks of birth after hepatitis B vaccination, as documented by the records of the VAERS [Vaccine Adverse Event Reporting System] in the USA.) So, the baby stops progressing, starts deteriorating, and usually develops signs of respiratory tract infection. Then comes the second and third injections, and tragedy strikes: the child may cry intensely and inconsolably, may stop feeding properly, vomit, have difficulty swallowing, become irritable, stop sleeping, and may develop convulsions with accelerating progressive deterioration of its condition and mainly its brain function. This deterioration may be fast, or may slowly inch in until the parents notice that something is very wrong with their child and then rush it to the doctor or hospital. Interestingly, they are invariably asked when the baby was immunised. On learning that the baby was indeed "immunised", the parents may be reassured that its symptoms will all clear up. They are sent home with the advice, "Give your baby Panadol". If they persist in considering the baby's reaction serious, they may be labelled as anxious parents or trouble-makers. So the parents go home, and the child remains in a serious condition or dies. Until recently, the vaccine death would have just been labelled "sudden infant death", particularly if the symptoms and pathological findings were minimal. However, nowadays, with an alarmingly increasing frequency, the parents (or at least one of them, usually the father) may be accused of shaking the baby to death. The accused may even "confess" to shaking the baby, giving the reason, for example, that having found the baby lying still and not breathing and/or with a glazed look in its eyes, they shook it gently-as is only natural-in their attempt to revive it. Sometimes, ironically, they save the baby's life, only to be accused of causing the internal injuries that made the baby stop breathing in the first place, and which in fact were already present when they shook the baby to revive it. In another scenario the distraught parents try to describe the symptoms to an attending doctor in hospital or a surgery but are totally at a loss to understand what has happened to their baby. To their shock and dismay, they later discover that while they were describing the observed symptoms, the doctor or another staff member was writing three ominous words in the medical record: shaken baby syndrome. Many of these parents end up indicted and even sentenced to prison for a crime that somebody else committed. Some of these cases have been resolved by acquittal on appeal or have been won based on expert reports demonstrating vaccines as the cause of the observed injuries or death. However, only God and a good lawyer can help those parents or care-givers who happen to be uneducated, or have a criminal record, particularly for violence, or have a previous history of a similar "unexplained" death of a baby in their care, or, worse still, a vaccine-injured baby with a broken arm or fractured skull. More and more often, the unfortunate parents are given the option of a "deal": if they confess and/or plead guilty, they will get only a couple of years in prison; but if they don't, they may end up getting 20 years. I was told by a social worker in the United States that many foster parents are rotting in US prisons. First, they are forced to vaccinate their charges, and then, when side effects or death occur, they are accused of causing them. Inevitably the possibility exists that infanticide or child abuse is involved in some of the cases. However, there is no determinable reason why so many parents or other care-givers would suddenly begin to behave like this. It is incredibly insensitive and callous to immediately suspect and accuse the distraught, innocent parents of harming their own baby. The term "Munchausen syndrome per proxy" has been used to identify individuals who kill or otherwise harm a child in order to attract attention to themselves. The term was used in many instances in the 1980s when earlier attempts were fashioned to explain some of the cases of sudden infant death. According to Meadow (1995),14 "Munchausen syndrome per proxy" is flamboyant terminology originally used for journalistic reasons. It was a term commonly applied to adults who presented themselves with false illness stories, just like the fictional Baron von Munchausen who travelled on cannon balls. The term is now used to apply to parents of children who present with false illness stories fabricated by a parent or someone else in that position. 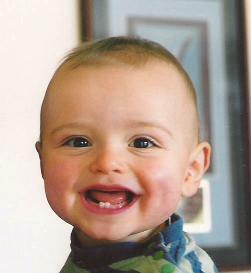 While the term may have some validity in describing this special form of child abuse in the documented cases of parents slowly poisoning their child or exposing it to unnecessary and often dangerous and invasive medical treatments, more recently it became a way for some doctors to camouflage the real observed side-effects of especially measles (M), measles-mumps-rubella (MMR) and measles-rubella (MR) vaccinations in the UK. Many thousands of British children (up to 15,000 in my considered opinion) developed signs of autism usually associated with bowel symptoms after being given the above vaccines in 1994. The Bulletin of Medical Ethics published two articles, in 1994 and 1995, dealing with this problem. The October 1994 article ("Is your measles jab really necessary?") stated that during November 1994 the UK Government would be running a mass campaign of measles vaccination with the intention of reaching every child between the ages of five and sixteen. It claimed that the purpose of this campaign was to prevent an epidemic that would otherwise occur in 1995, with up to 200,000 cases and up to 50 deaths. The article also showed that since 1990 there have been only 8,000 to 10,000 cases of measles each year in England and Wales, and that coincidentally there was an epidemic of only about 5,000 cases in Scotland in the winter of 1993-94. Between May and August 1994 the notification rate in England and Wales dropped sharply, so there was nothing that clearly suggested an imminent epidemic. vaccine strain which had been shown to cause mumps meningitis in one in 1,044 vaccinees (Yawata, 199415). Based on the epidemiology of measles, there was never going to be a measles epidemic in 1995 and there was certainly no justification for concomitant rubella vaccination. The mass campaign was planned as an experimental alternative to a two-dose schedule of measles-mumps-rubella vaccination. The UK Government knowingly misled parents about the need for the campaign and about the relative risks of measles and measles vaccination. The DoH broke the European Union's law about contracts and tendering to ensure that specific pharmaceutical companies were awarded the contracts to provide the campaign vaccines. All this must have been extremely fortunate for the drug companies in question, since the supplies of measles and rubella vaccines-which they'd been left with in 1992 and for which there was virtually no demand-were soon to go out of date. The vaccination campaign achieved very little. Indeed, in 1995 there were twice as many cases of serologically confirmed rubella in England and Wales as in the same period of 1994: 412 cases against 217. Six cases of rubella in pregnant women were reported. The data indicate that more measles cases were notified in the first quarter of 1995 (n=11) than in the first quarter of 1994 (n=9). Despite this, there were several claims from government doctors that measles transmission had stopped among school children. Higson (1995)16 wrote that two DoH officials tried to justify the success of the measles and rubella vaccination campaign by using data that cannot be used to give year-on-year comparison for measles infections. Indeed, he wrote that the data collected by the public health departments on the measles notifications show no indication of benefit from the highly expensive campaign. The British government spent some £20 million purchasing the near-expiry-date measles and rubella vaccines. Some 1,500 parents are now participating in a class action over the damage (most often the bowel problems and autism) suffered by their children. Wakefield et al. (1998)17 published a paper in the Lancet in which they reported on a consecutive series of children with chronic enterocolitis and regressive developmental disorder which occurred 1 to 14 days (median, 6.3 days) after M, MMR and MR vaccinations. They also quoted the "opioid excess" theory of autism, that autistic disorders result from the incomplete breakdown and excessive absorption of gut-derived peptides from foods, including barley, rye, oats and milk/dairy product casein, caused by vaccine injury to the bowel. These peptides may exert central-opioid effects, directly or through the formation of ligands with peptidase enzymes required for the breakdown of endogenous central-nervous-system opioids, leading to disruption of normal neuroregulation and brain development by endogenous encephalins and endorphins. A number of British parents approached me last year and complained that their children had developed behavioural and bowel problems after vaccination (as above), and that instead of getting help from their doctors they were told that they just imagined the symptoms or caused them in order to attract attention to themselves. The term "Munchausen syndrome per proxy" was used. It caused a lot of hardship and marital problems and did nothing for the victims of vaccination. Their stories were horrifying. In summary, the trail of vaccine disasters is growing. Not only do vaccinations do nothing to improve the health of children and other recipients, they cause serious health problems as well as hardship for their families by the victimisation of these victims of vaccines. Parents of small children of vaccination age should use their own judgment and should educate themselves about the real dangers of this unscientific, useless, harmful and invasive medical procedure. No matter how much vaccines are pushed, vaccination is not compulsory in Australia (though the Liberal Federal Minister for Health has announced his plan to make it so in the near future-which, to me, sounded more like a threat at the time), and parents do not have to vaccinate their children. Those parents who think they are safe when they follow the official propaganda may be in for a rude awakening: they may be accused of causing the harm which resulted from vaccination. I also urge medical practitioners to use their own judgment and observations and study the trail of disaster created by vaccination. They should listen when their patients and especially the parents of small children report side effects of vaccinations. The inability to listen and observe the truth has created a breed of medical practitioners who inflict illness rather than healing, who become accusers rather than helpers, and who are ultimately just covering up-whether consciously or unknowingly, but with frighteningly increasing frequency-for the disasters created by their useless and deadly concoctions and sanctimonious ministrations. Maybe the term "Munchausen boomerang" should be introduced to describe those members of the medical profession who victimise the victims of their own harmful interventions (vaccines in particular). I would like to remind those who may still think the risks of vaccine injury are outweighed by the benefits from vaccines, that infectious diseases are beneficial for children by priming and maturing their immune system. These diseases also represent developmental milestones. Having measles not only results in a lifelong specific immunity to measles, but also a non-specific immunity to a host of other, more serious conditions: degenerative diseases of bone and cartilage, certain tumours, skin diseases and immunoreactive diseases (Ronne, 198518). Having mumps has been found to protect against ovarian cancer (West, 196619). So there is no need to try to prevent children from getting infectious diseases. Moreover, according to orthodox immunological research, vaccines do not immunise, they sensitise; they make the recipients more susceptible to diseases (Craighead, 197520). It is the vaccinated children who suffer chronic ill health (asthma and constant ear infections being two of many vaccine side effects); who develop side effects to diseases like pneumonia or atypical measles (which carries a 12 to 15 per cent mortality risk); or who may have difficulty going through even such innocuous diseases as chicken pox because their immune system has been suppressed by vaccines. In my closing remark, I urge parents to ask themselves a few questions. Have you noticed how much the vaccines are pushed by threats, coercion, victimisation and monetary punitive measures, with parents then being accused of causing what are clearly side effects of the vaccines? Would you succumb to the same type of pressure if any other product were pushed with the same vengeance? Wouldn't you be suspicious and ask what's wrong with the product if it has to be forced upon consumers? Why do so many informed parents, as well as many informed medical doctors, now refuse vaccination? Shouldn't you be suspicious of a medical system which forces itself upon you, which won't accept responsibility for vaccine injuries and unlawfully tries to take away your constitutional, democratic and legal right to have control over your own and your children's health without being hassled and victimised? 1. Caffey, J. (1972), "On the theory and practice of shaking infants", Am. J. Dis. Child 124, August 1972. 2. Caffey, J. (1974), "The whiplash shaken infant syndrome: manual shaking by the extremities with whiplash-induced intracranial and intraocular bleeding, linked with residual permanent brain damage and mental retardation", Pediatrics 54(4):396-403. 3. Reece, R. M. (1993), "Fatal child abuse and sudden infant death syndrome", Pediatrics 91:423-429. 4. Duhaime, A. C., Alario, A. J., Lewander, W. J. et al. (1992), "Head injury in very young children mechanisms, injury types and opthalmologic findings in 100 hospitalized patients younger than two years of age", Pediatrics 90(2):179-185. 5. Levine, S. and Sowinski, R. (1973), "Hyperacute allergic encephalomyelitis", Am. J. Pathol. 73:247-260. 6. Iwasa, A., Ishida, S., Akama, K. (1985), "Swelling of the brain caused by pertussis vaccine: its quantitative determination and the responsible factors in the vaccine", Japan J. Med. Sci. Biol. 38:53-65. 7. Munoz, J. J., Aral, H., Bergman, R. K. and Sadowski, P. (1981), "Biological activities of crystalline pertussigen from Bordetella pertussis", Infection and Immunity, September 1981, pp. 820-826. 8. Wilkins, J. (1988), "What is 'significant' and DTP reactions" (letter), Pediatrics 81(6):912-913. 9. Devin, F., Roques, G., Disdier, P., Rodor, F. and Weiller, P. J. (1996), "Occlusion of central retinal vein after hepatitis B vaccination", Lancet 347:1626, 8 June 1996. 10. Goetting, M. G. and Sowa, B. (1990), "Retinal haemorrhage after cardiopulmonary resuscitation in children: an etiologic evaluation", Pediatrics 85(4):585-588. 11. Jacob, J. and Mannino, F. (1979), "Increased intracranial pressure after diphtheria, tetanus and pertussis immunization", Am. J. Dis. Child 133:217-218. 12. Woerner, S. J., Abildgaard, C. F. and French, B. N. (1981), "Intracranial haemorrhage in children with idiopathic thrombocytopenic purpura", Pediatrics 67(4):453-460. 13. Cody, C. L., Baraff, L. J., Cherry, J. D., Marcy, S. C. and Manclark (1981), "Nature and rates of adverse reactions associated with DTP and DT immunizations in infants and children", Pediatrics 68(5):650-660. 14. Meadow, R. (1995), "What is and what is not 'Munchausen syndrome per proxy'? ", Arch. Dis. Child 72:534-538. 15. Yawata, Makoto (1994), "Japan's troubles with measles-mumps-rubella vaccine", Lancet 343:105-106, 8 January 1994. 16. Higson, N. (1995), "Evaluating the measles immunisation campaign", British Medical Journal 311:62. 17. Wakefield, A. J., Murch, S. H., Anthony, A., Linnell, J. et al. (1998), "Ileal-lymphoid-nodular hyperplasia, non-specific colitis and pervasive developmental disorder in children", Lancet 351:637-641, 28 February 1998. 18. Ronne, T. (1985), "Measles virus infection without rash in childhood is related to disease in adult life", Lancet, 5 January 1985, pp. 1-5. 19. West, R. O. (1966), "Epidemiologic studies of malignancies of the ovaries", Cancer, July 1966, pp. 1001-07. 20. Craighead, J. E. (1975), "Report of a workshop: disease accentuation after immunisation with inactivated microbial vaccines", J. Infect. Dis. 1312(6):749-754. Viera Scheibner, PhD, is a retired principal research scientist with a doctorate in natural sciences. During her distinguished career she published three books and some 90 scientific papers in refereed scientific journals. Since the mid-1980s when she helped develop the Cotwatch breathing monitor for babies at risk of cot death (sudden infant death syndrome, or SIDS), she has done extensive research into vaccines and vaccinations and in 1993 published her book, Vaccination: The Medical Assault on the Immune System. Dr Scheibner is often asked by lawyers to provide expert reports for vaccine-damage court cases, and she regularly conducts lectures.